OT is obviously a huge focus for the staff this cycle, ton of OT offers going out and virtually no interior offers. We dont need any more guards. Yes, we're in a very good spot on the interior, so the need isn't dire. If an elite interior comes along you of course take him, otherwise the staff can be picky. I'd of taken the kid from BellWest yesterday. No....it doesn't have to be that way. We will win some and lose some. But, I think it's going to be much better than we have seen in a long time. I believe we get KJJ. If we get Holmes and Gebbia, it's really going to be fun seeing who they can peer recruit. I love what we're doing in California, but I'd like to see some inroads made into Florida and back into Texas. Wonder if Banker is evaluating the recent Dline offers or if we have a new guy with his prospects. It's mid-February and Nebraska has now offered a lot of DL for the '17 class. Perhaps the early-February panic over that can subside now! He's a legacy, and his father is still very connected to the program still. We will be ranked ahead of them, again. 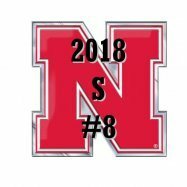 Obvious effort being put into DL recruiting on Twitter. >> The Calabasas crew. Nebraska already has one Calabasas player in 2016 signee Marquel Dismuke. NU is seemingly in the lead for Johnson, whose dad, Keyshawn Johnson, Sr., played for Riley, and has visited Nebraska several times and seems to love the place. Johnson is a good prospect, but his buddy, Holmes, is a five-star stud who can jump out of the gym. Sam provides an overview of spring recruiting efforts. He discusses each of the bulleted items. I won't list too many targets for now because I like to keep that to guys who are seriously considering Nebraska and it's hard to know much yet. Once guys start showing up for Jr. Days and such we'll know more. Mainly trying to get a look at which positions are a priority and how many we're looking at for each. We have 21 seniors plus can over-sign by 3 so we should be looking at at least 24. OT - There will only be five scholarship OTs left after this year and two will be seniors. DT - Only four left after this year. Behind by not taking one last year. For sure need two. TE - Only three after this year but at least they're young. Mav you listed 1-2 CB's but I love all 3 of those prospects- any chance we take all 3 and move one to Safety/Nickel? Lets just start with getting at least one. Holmes #1. If we get one of the others its a boom. We'll take all 3 if they want to come and figure out who/where they play later. And, with the normal attrition that happens every year, I would expect we should be able to take 27-28 next year. I go on vacation for a week and come back and there are 1000 (approximately) new offers. Yeah, I noticed that as well. I put 1-2 because we have three guys from the 2016 class that are starting out at CB plus not losing any. But we'll have three senior CBs in 2017 so taking three isn't out of the question if they're top shelf guys. HAhahahahahahaha, this new staff is ON POINT with their twitter game. "2 Phones" is a very popular new rap song going around. Alex Parrella is a 6'4" 215 LB/TE that is uncommited. Could he walk-on without a scholarship? My understanding is he could be a walk-on as long as he doesn't see the field...Once he plays, he would have to be considered on scholarship. Correct or not? Looks like he is 2016 recruit? He can be a walk on. Doesn't matter if he plays a down or not. Doug McDermott walked on for a year. Wasn't Cody Hawkins a walk on at CU back in the day? That's for scholarships the university gives out not pertaining to football. Examples being dual sport players or guys on academic scholarships. Essentially you can't be on a baseball scholarship or academic scholarship play snaps in football and not count towards the 85. I could be wrong but I'm pretty sure that's the rule. But doesn't it work the same since his dad is going to be a University Employee, meaning free or reduced tuition? I thought that's why Williams' son had to have a scholarship? Wow, completely didn't register to me that it's John Parrella's kid when I first commented. Sorry about that. I believe what you stated is true though; he can walk-on and not count towards the 85 as long as he doesn't play. Again, I could be wrong. Doug McDermott was a walk on his senior year at Creighton to free up a scholarship. He had to pay tuition, couldn't take the reduced tuition rate he would have had for a family member being an employee of the school. So Alex could walk on, and his family would just have to foot the tuition bill every year. At least that's how I understand the workings of this. Yeah but doesn't that also limit the player's access to the other benefits included in a scholarship such as the meal program? If that is the case, I can see that being a bigger problem in FB over BB. In fairness, a lot of kids will lose some speed as they get bigger/stronger. Have to admit, I'm a little burned out on offers. We have offered an amazing number of kids in the last month. At this point, other than s few, there is no way of knowing if any are even interested. I believe that is right as the cost per semester hour for employee's is really low. Something like $40.00 a credit hour or less, I can't remember as it was discussed a few years back when all of the Cotton's were getting scholarships and some were saying that Barney could pay for it and save the school scholarships to use on other recruits. Good read on both Gebbia and Coan. Gebbia, listed at 6-foot-3, 180 pounds (but frankly shorter and skinnier than that) visits Nebraska Monday. He's the quarterback for Calabasas wideout and Husker receiver target Keyshawn Johnson, Jr. Gebbia has already visited Lincoln before, and he recently visited Ole Miss, among other schools. Gebbia told Rivals' South Carolina site that he'd visit the Gamecocks after that program offered him recently, and he also take a tour of some other southern schools. Gebbia has a rocket arm. It's his best attribute. Coan, a 6-foot-4, 215-pounder, hails from Long Island, and, according to Husker Online, intends to visit March 17. Coan had originally planned to visit for Nebraska's spring game. Coan is taking his own tour of schools -- mostly in the Big Ten and the northeast. Coan is taller, more mobile than Gebbia, but possessing a weaker arm. OK...so I'll ask the question I have been pondering since I posted this. Gebbia is maybe shorter than 6'3" but has a rocket for an arm. Coan is 6'4" 215 lbs but doesn't have the arm strength but is also more mobile. Just knowing that and assuming it is all true, which do you prefer? I guess I'm a little concerned about Gebbia's height. He could always still grow some. I do like the fact of a more mobile QB in Coan.